I know, I know. . . I haven't posted in a while. It's been an exciting month in my home, so I haven't been posting any new patterns. Though I do have several in the works. It takes time to go through the process of writing one out. And, for me, I have to be inspired. Another thing is that I have been teaching a beginner's crocheting and knitting classes. It's been a blast getting to know my students and helping them learn how to use yarn. It's really helped me look more at the reasons why I love to crochet/knit as well. I like to work with my hands. Making something from scratch and having someone marvel that not everything is store-bought thrills me. Yarn is so versatile that I can make everything from toys to clothing to home accessories with a hook/sticks and yarn. I get to use my creativeness that I've kept bottled up for so many years. I always thought I was going to be a police officer when I was younger, and as I grew up I thought I was going to be a Scientist. Well, in many ways I am, but I've realized that I am so much more in recent years. I love to teach, and having this unique skill has given me something that I can share with others. Those are just a couple of reasons of which I'm sure there are more, but for the sake of your eyes, I'll stop there. I love to create things out of yarn and fibers, whether it is wool, silk, wood, or steel. As you can see in my blog, I tend to write on places I've been, techniques, How To's, and projects related to my business. I don't post everyday, but more likely a couple of times a month. I try to stick to important events and helpful information. If you are so inclined, subscribe and jump into my world. I hope to inspire you, teach you, and also hope to learn from you as well. 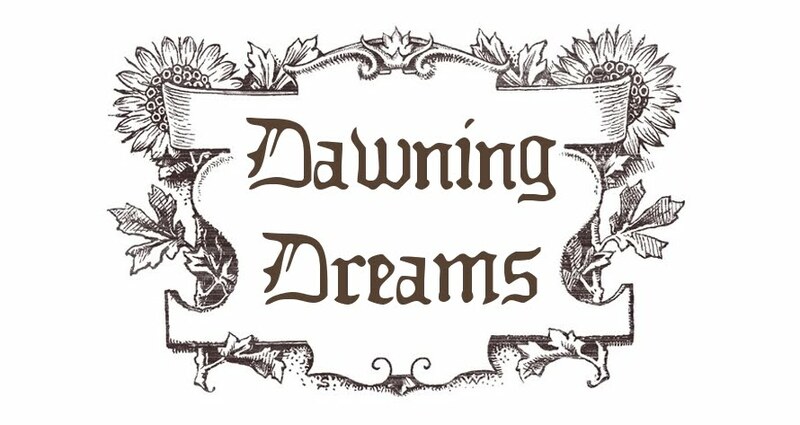 All Content Copyright Dawning Dreams LLC 2011. Awesome Inc. theme. Powered by Blogger.